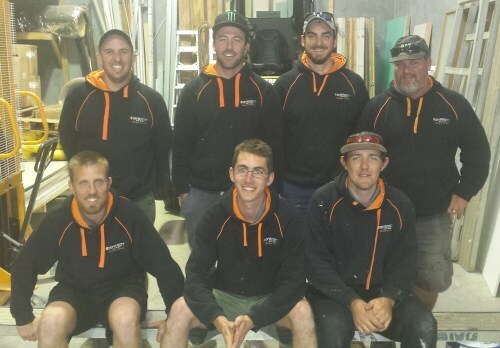 Our carpenters are all fully employed, some of which have been working with us for more than a decade. Pictured here at our monthly BBQ/Toolbox meeting at our warehouse. Where we like to catch up with everyone to discuss future projects, any problems they are having and also solve those problems as a team.